Should we read the Joe Pickett novels in order? Reading the C. J. Box books in order means catching up with 16 Joe Pickett novels, 2 Cody Hoyt series, 3 Cassie Dewell series, 2 standalone novels and 2 short stories as well. Quite a lot of books, but well worth the read! Here are the C. J. Box novels in order of publication and chronological order for all his series. The Joe Pickett series is about a game warden living in Wyoming, who is not very popular in the area since everyone around there hunts. Joe is as straight as it gets and finds his calling as he solves murder case after case. I’ve read most of the books in this series in order, and I think they can be read out of order easily. Each book stands on its own and if you read them out of order, you won’t miss much. The Cody Hoyt series has currently 2 books and has at center stage the alcoholic Cody Hoyt, who is a cop on the way to destruction. He was a great cop and had everything going for him until the alcohol got the better of him. Over the years the author C. J. Box has written two standalone novels as well. They are listed below in the order of publication. The most popular C.J. Box series is Joe Pickett. He is a Wyoming game warden in the small town of Twelve Sleep. This is a town of hunters, so it’s understandable that game wardens are not viewed with the utmost respect by the natives. Joe is especially hated because he doesn’t take bribes and he takes his job seriously. Most people there love their rifles and love their drinks as well, not a healthy combination, especially when Joe has to give tickets to armed drunks who are caught in the act. In The Disappeared, the latest Joe Pickett novel, Joe works two cases at the same time. First, there is the disappearance of three British women who were visiting a local ranch, and second, he and his friend, Nate Romanowski, are called to investigate the killings of some eagles, which is a Federal offense. The problem is that someone wants Joe to stop investigating, but so far it’s not sure which case is someone trying to stall. C. J. Box (website), aka Charles James Box, is the popular American author of the Joe Pickett mystery series. The author is a native of Wyoming. Born in 1958 in Casper, WY, where he also grew up, he graduated with a degree in Mass Communications from the University of Denver. Over the years he held many jobs, including being a ranch hand, a fishing guide, surveyor, as well as a small town newspaper reporter and editor. At some point, he became the owner of an international tourism marketing firm together with his wife, Laurie. He was and is involved in various aspects of tourism, earning the “BIG WYO” Award from the state tourism industry. He was on the Board of Directors of Cheyenne Frontier Days Rodeo and these days he serves on the Wyoming Office of Tourism Board. Several of the C J Box books received awards, including the Anthony Award, Macavity Award, the Gumshoe Award and the Barry for Open Season. His first standalone novel, Blue Season, received the Edgar Award for Best Mystery Novel of 2008. C J Box is currently living outside of Cheyenne with his family. The C J Box novels have been translated into over 20 languages (and in fact, my first Joe Pickett novel was several years back in Hungarian – my native language). At some point, I owned all the Joe Pickett books, but I’ve in the meantime given many to the local charity bookshop for those who cannot afford to buy books. I still have one more, a trade paperback called Free Fire, bought several years ago. Of course I continue to buy the latest Joe Pickett novels as soon as they come out, however, these days I rather buy them as Kindle downloads due to lack of space in my home. 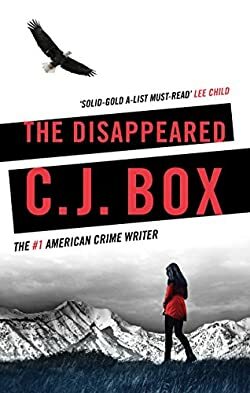 For me, reading the C J Box books in order is one of the biggest joys when I know the latest novel has been just released and I can get ahold of it right away. Lost that speech.. Enjoy your books . And how the person is driving the car next to you . Bless all you perfect people .why not try the other people’s job next time. Le Sauvage Noble is available within “Shots Fired: Stories from Joe Pickett Country” (a collection which is widely available through public libraries). That’s good to know, I couldn’t find it anywhere. I’ve read them all, have them all, and will read them again in a few years! I love the Joe Pickett series! I have read them all and looking forward to the next one. Would like to know when that will be? Please keep them coming. Like Nate very much too. Would like to see April a little more congenial. She would be much happier. Lol. Thank you for these wonderful books that all family members can enjoy. So how come April dies in Winterkill but is going out with Dallas Cates in Endangered? We will be sad after we have finished all the different series. These books have made for many interesting conversations! A few typos in the titles here. Winterkill. In Plain Sight. I really love this site, I am sad to see title typos here and there. spelt….? I thought spelt was a grain. Perhaps spelled is the correct word to use? Both forms are correct. It depends on where you live. Americans prefer the spelled form, while Europeans (especially Brits) rather use the spelt form. Will we see the end of the Lizard King? Have read Badlands. Loved it. My first C. J.Box book. It needs a sequel. Hope to find out what happens with the Lizard King. Where does Pronghorns of the Third Reich fit? It’s not vital to read them in order – but I think you’ll enjoy them more if you do. The back story never swamps the plot, but there’s wry humour in the adventures of Marybeth’s mother, and watching Sheridan grow up, and develop from a child into a key player. And Joe himself has a back story that gently comes out over the span of these great novels. enjoyed reading all of your Joe Pickett and Nate series. However I have one serious complaint with how Daisy was abused. Daisy’s paws would have been raw, blistered and bleeding. Vehicle with her head cocked, expectantly. It was sent on fire and burned. See page #276.
with Sheridan and others to the rock formations. My input is that Joe knew he was going to be in the desert and should have left Daisy home. would kill her. She is very special to me. i have just started reading the joe pickett series again. to get the best out of the series start with number one and read in order. this way you get the feel off the characters and understand when you lose them in the series. the growing up of his daughters and foster daughter is compelling. the joe pickett series tells of family life and his job and his help for nate . This is included in Shots Fired: Stories from Joe Pickett Country published in 2014. Can’t wait for cjs next book. I have read them all in order & that is most certainly the way to read them. I can’t wait till the next Joe Pickett! Love the Joe Pickett books. I was really shocked by Cody Hoyts death. Didn’t see that coming. Great characters. Very enjoyable. Can’t wait for the next book. Keep up the good work. I felt the same way. I was so sure he would be found alive; perhaps c j box has a surprise in stor! Thanks, haven’t read those yet!!! Probably won’t now! Ignore the spoilers! They are really good reads and good characters anyway! Winterkill, just finished it yesterday.